Sales in the UK rose by 8% in 2018 to just under 14 billion US dollars (£10.6 billion), while many of the larger European markets shrunk, according to the Art Basel And UBS Global Art Market Report. China – which had been second in 2017 – achieved sales of 12.9 billion US dollars (£9.9 billion), a decline of 3% year-on-year, the study found. The United States retained its spot at the top of the table, with record-high sales of 29.9 billion US dollars (£22.8 billion). Globally, sales in the art market in 2018 reached 67.4 billion US dollars (£51.4 billion), up 6% year-on-year. The report was written by economist Dr Clare McAndrew. It states that despite the “uncertainty” of Brexit, the UK’s art market is unlikely to be affected by the departure from the EU because the bulk of trade by value is already with non-EU countries. “The factors that have made Paris and other centres in Europe less competitive, such as over-regulation and tax complexities, are domestic, homegrown issues that will not disappear because of Brexit,” according to the report. France, the world’s fourth largest market, saw sales drop by 5% in 2018 to 4.1 billion US dollars (£3.1 billion) while sales also declined in Germany, Switzerland and Italy. However, small businesses in the UK are more likely to be affected by Brexit-related trade policies, due to having “less capital to ride out any periods of volatility”. 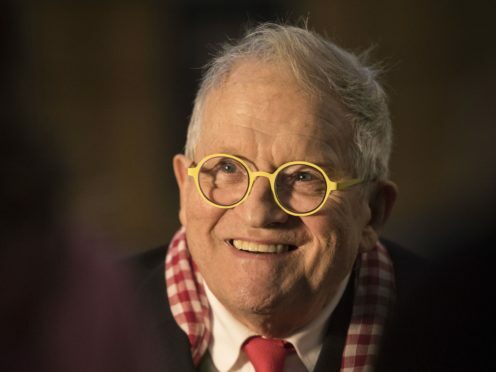 London’s position as a global powerhouse in the art world was in evidence this week, when a David Hockney painting went under the hammer for £37.6 million at Christie’s. Henry Geldzahler And Christopher Scott, a 1969 painting from the artist’s seminal Double Portrait series, became the most expensive work of art sold during Christie’s 20th Century Week auctions. It was another landmark price for the British artist after his Portrait Of An Artist (Pool with Two Figures) fetched 90 million US dollars (£70 million) in New York in November. That price smashed the auction record for a living artist.